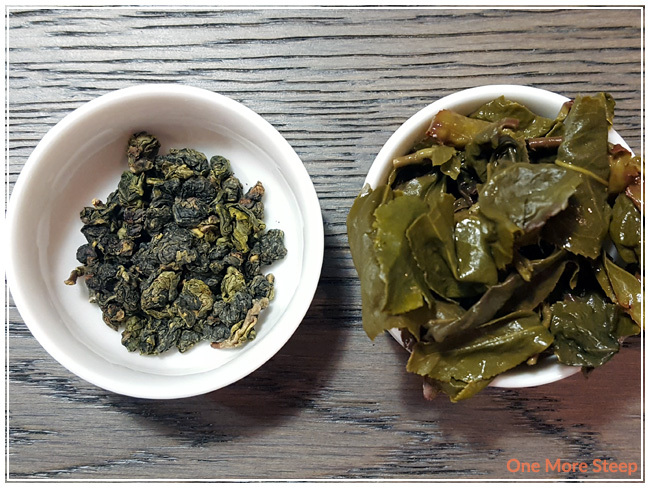 Four Seasons Oolong Tea was an oolong that I picked up at the 2017 Vancouver Tea Festival earlier this month from Oollo Tea’s table. The tea came in a silver foil packet in white card stock box, covered with patterned paper that’s stamped. The foil packet isn’t resealable (unfortunately!) and I didn’t have any empty tins, so I wound up putting the foil packet into a plastic resealable page to keep the air out. 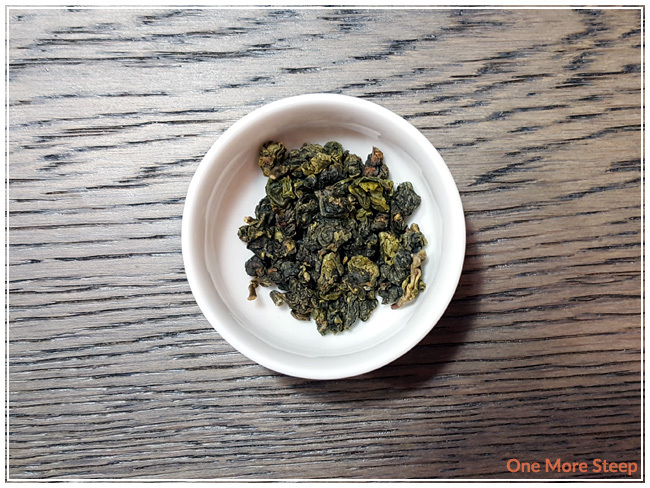 Four Seasons Oolong Tea has a bright, almost nutty aroma to it. It reminds me of chestnuts, which is almost seasonably appropriate. The dry leaf is beautiful with dark and bright greens, and the leaves are tightly compressed together. There were no preparation recommendations on the packaging, and I couldn’t find the Four Seasons Oolong Tea on the Oollo Tea website, so I opted to steep at 185°F (85°C) for 1 minute for the initial steep. Four Seasons Oolong Tea steeps to a pale yellow for the initial steep. The aroma that comes up from this tea has a mix of nuttiness and grassy notes to it. There’s a smooth, mouth coating quality to this oolong. I found zero bitterness or astringency in this tea at the temperature that I steeped it for. The flavour of Four Seasons Oolong Tea had a hint of roasted chestnuts with grass/vegetal flavours, it’s quite tasty. 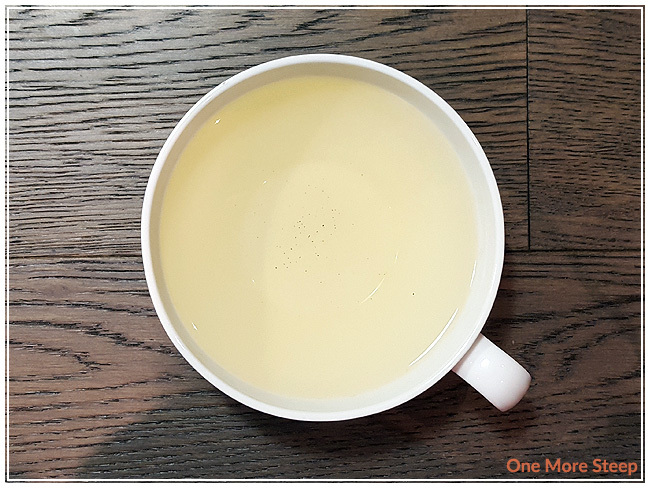 I resteeped Four Seasons Oolong Tea a total of six times, adding an additional 30 seconds per resteep. I found that the flavours got more vegetal and less of the chestnuts with each subsequent steep, and it was still flavourful by the sixth resteep. 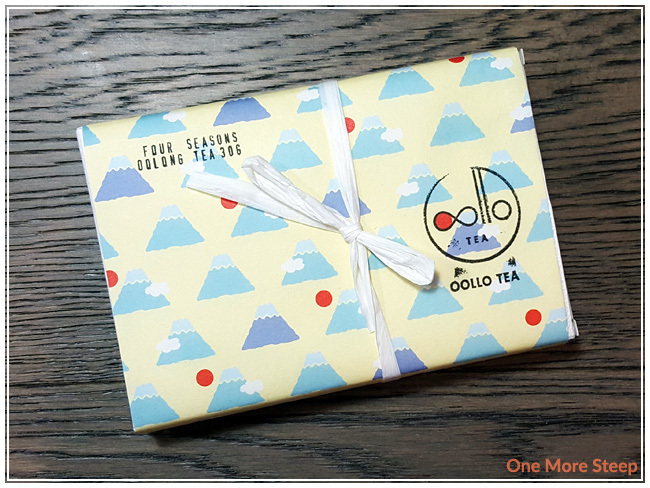 I loved Oollo Tea’s Four Seasons Oolong Tea. The aroma from the dry leaf and the steeped tea is delightful, I really enjoyed the mix of chestnuts and vegetal notes. I had a great time steeping this tea repeatedly over the course of an afternoon, and watching the tea leaves open up. I would definitely recommend resteeping the leaves and taking the time to drink this oolong over a period of time. 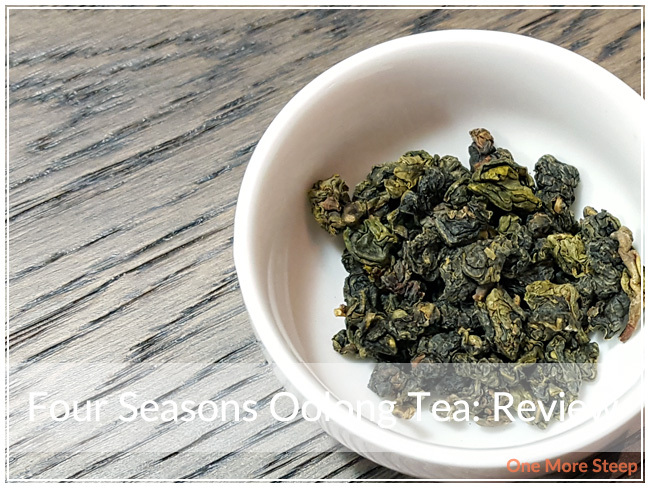 Four Seasons Oolong Tea is a great cup of tea, and the vegetal flavours are smooth and delicious.